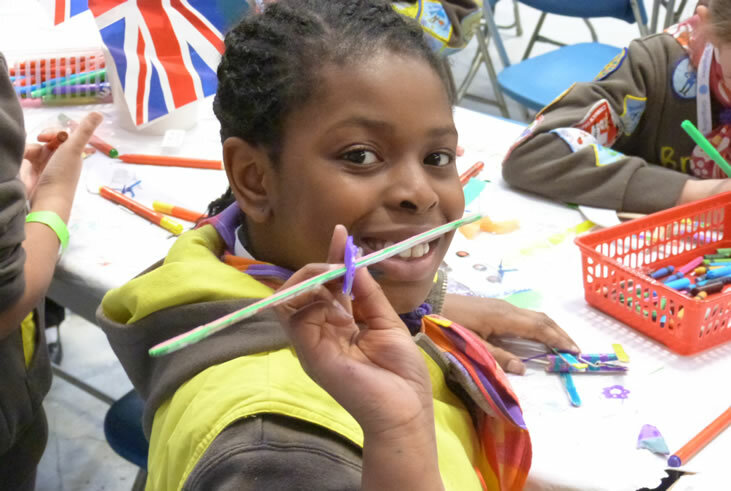 On 28th March, 370 Rainbows and Brownies attended RAF Cosford Museum for a day of Fun n Flight. The also included a talk by Midlands Air Ambulance. The day aimed to introduce girls to the fun elements of flight and saw them making pilots licences, riding on a 4D simulator and dressing up like air and cabin crew for the photo booth. The Rainbows also had the opportunity to fly Cosford Airlines and were able to check in luggage and go through the metal detector for their “flight”. The girls were also able to enjoy craft activities and made rocket cars and went home very tired at the end of the day. The day is linked to a challenge pack on the theme of Fun n Flight that will be available at the end of April. A second day is due to be held on Sunday 5th July.